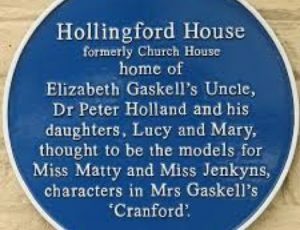 Hollingford House, as it was known, was the home of Elizabeth Gaskell’s uncle, Dr Peter Holland and his daughters Lucy and Mary. 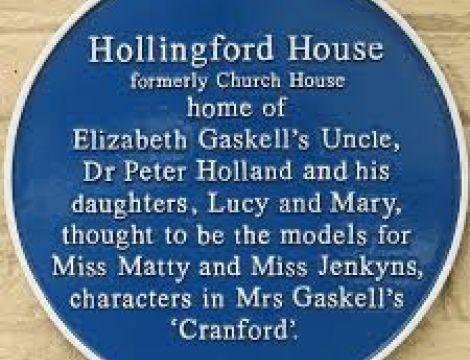 Gaskell fans will enjoy the display about the house and its links with Elizabeth and ‘Cranford’. This Georgian period town house, now Arthur Lee Interiors, was once the home of Elizabeth Gaskell’s uncle, Dr Peter Holland and his daughters Lucy and Mary who are thought to be models for the Miss Matty and Miss Jenkyns characters in Mrs Gaskell’s ‘Cranford’. Built c.1760 on the site of an earlier dwelling it was originally known as ‘Church House’. Arthur Lee purchased the property in 1929. The property has been in the family’s ownership ever since. A special exhibition of photographs and plans showing the history of Hollingwood House and its links to Elizabeth Gaskell will be on display. Ramp access from the drive into the property.